We Offer G3-S Custom Series Shocks & G6 Custom Forks for Electric Motorcycles! 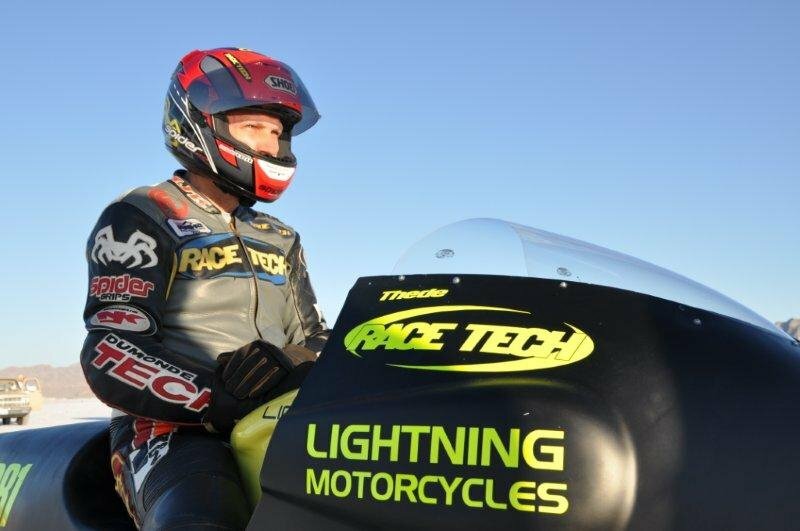 Paul Thede and Lightning Motorcycles made history when they became the first to break the 200 mph barrier on an electric motorcycle and set the new land speed record in the process. Not only is he officially the first to break 200 but set the bar pretty high with a record setting pass of 218.6 mph. ►Read More! 2013 Electric Motorcycle Cannonball Run! Old Tech plus New Tech = Cool Tech! Sporting a Norton Featherbed Frame with Race Tech G3-S & Inverted forks and powered by Electricity the MotoElectra is competivie in the TTX GP. Race Tech can build G3-S Custom Shocks for any Electric Motorcycle and we have built many! Race Tech Fork & Shock Upgrades are available for Brammo! Race Tech Fork & Shock Upgrades are available for Zero!